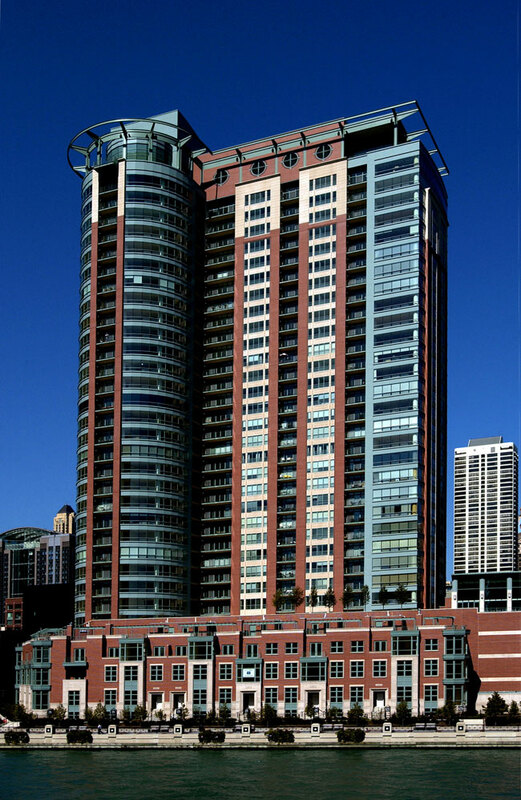 Alucobond Plus Material accents RiverView II, a luxury condominium tower on the north bank of the Chicago River overlooking Lake Michigan. 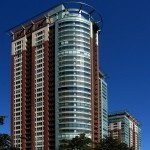 With a final completion date of April 2005, RiverView II connects to a previously constructed, and smaller, first phase tower. Approximately 48,000 sq. 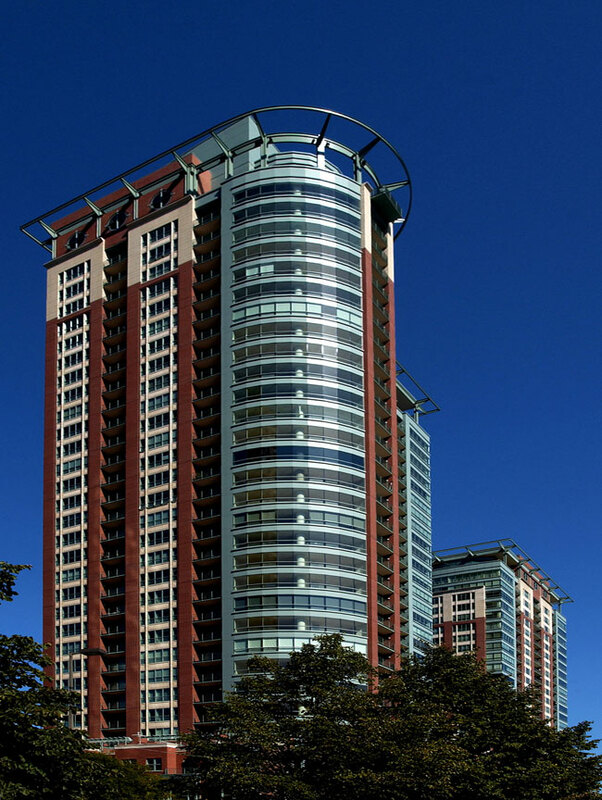 ft. of 4mm Alucobond Plus Material in custom Duranar green was installed as exterior panels at the Riverview II tower by Arcadia Products Inc. of Northbrook, Illinois. The panels had been fabricated by Sobotec Ltd. of Hamilton, Ontario, Canada and attached by the Sobotec SL-1000 caulked system. 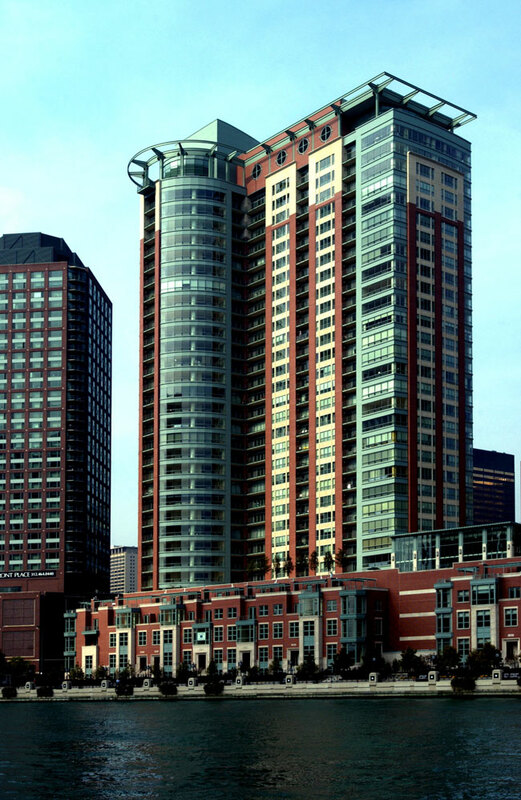 RiverView was designed by the Chicago architectural firm of DeStefano and Partners, Ltd. RiverView is part of the River East development, which extends north of the Chicago River to Grand Avenue and west of Lake Shore Drive to Columbus Drive in downtown Chicago. 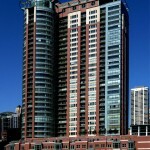 The River East neighborhood is one of the largest mixed-use urban developments in the country. 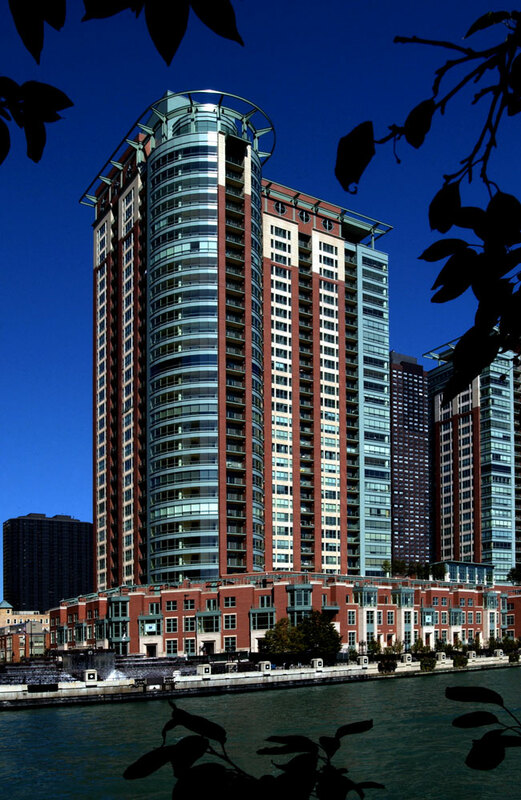 River East development is by MCL Companies, who have been at the forefront of high-end residential development in Chicago for over 20 years. 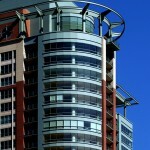 The design intent of RiverView is to create a vital residential community in a unique urban location. RiverView is a mix of elements varying in scale and material which relate both to its evolving neighborhood and to the city as a whole. The architectural forms of RiverView are inspired by traditional Chicago sources as well as contemporary design directions. Design parameters set forth by the city required traditional brick towers to be built. 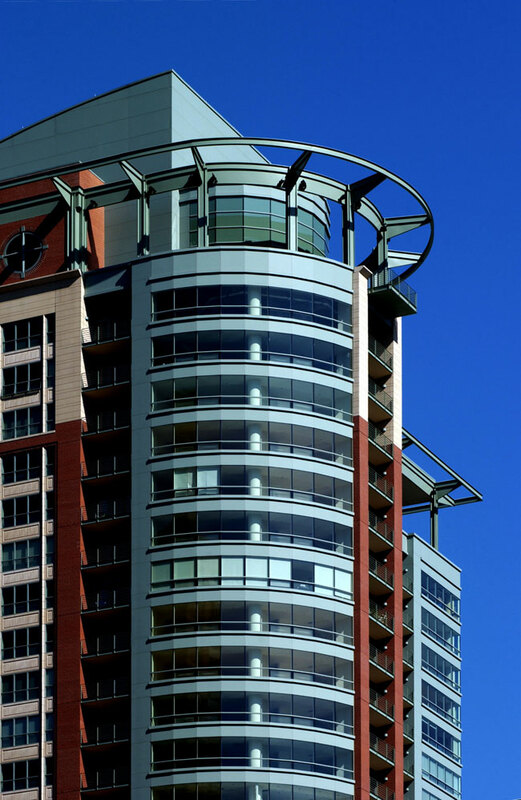 The RiverView exterior wall takes its projecting brick bay forms from the earliest city skyscrapers while introducing the contemporary materials of aluminum and glass at the end bays to afford continuous views of the city and lakefront. 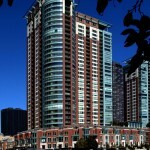 The towers will sit upon a parking garage screened by luxury townhomes of brick and limestone. Not only do these townhomes make the parking structure invisible, they also provide a pleasant scale for pedestrian traffic along the River Esplanade. Chicago has long been at the forefront among American cities for providing the best and most successful waterfronts and RiverView continues this tradition. Construction manager/general contractor for RiverView was Power Construction of Chicago, whose preconstruction services included value engineering. Also, consistent with an emphasis on choice of features at the project, homeowners were given opportunities — at several key points in the construction process — to upgrade and customize their residences. 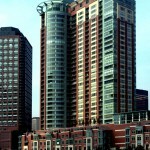 Power Construction has worked primarily in the Chicago area since 1926.